While some people enjoy the stimulation they get from drinking a cup of coffee, others may feel overly stimulated. If caffeine is more foe than friend, you may be looking for ways to flush it out of your system. Unfortunately, you can't flush caffeine out of your body. Your body gets rid of caffeine on its own, with the amount of time varying from person to person. After consuming caffeine, you may feel the effects within 15 minutes and they may last as long as six hours, according to the University of Michigan. Caffeine is metabolized in the liver, and has a half-life of four to five hours, which is the amount of time it takes for your liver to flush out half of the caffeine you've consumed. Certain conditions, such as liver disease and pregnancy, can increase the time it takes the liver to clear the caffeine from your body. Caffeine is a natural substance found in various plant foods, including coffee beans, tea leaves and cocoa. While it's found in your cup of coffee and tea, caffeine is also added to various food products, including energy drinks and certain types of carbonated beverages. It's also present in various over-the-counter and prescription medications, so talk to your doctor or pharmacist if you're trying to cut caffeine from your diet. Consuming moderate amounts of caffeine -- about 250 milligrams a day -- is safe, but too much, more than 1,000 milligrams, may lead to health problems. 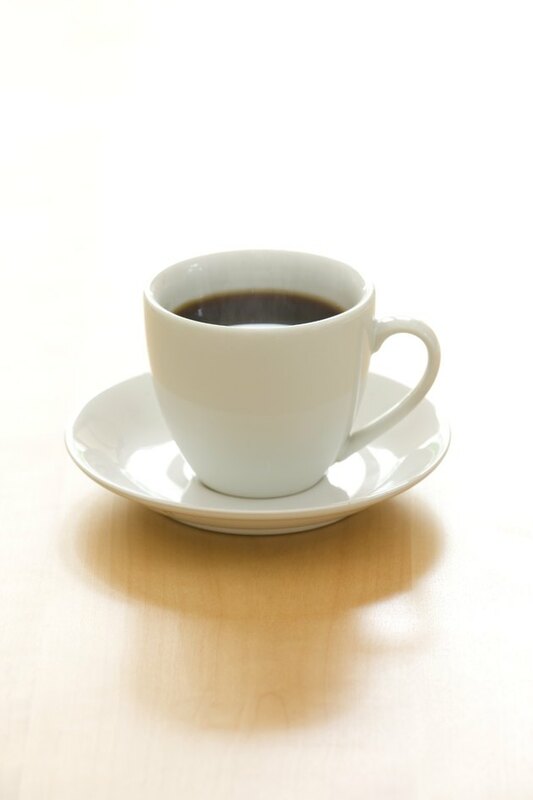 Excessive intake of caffeine may cause heartburn and a change in bowel movements, and in women, can impact fertility. It can also affect sleep and cause anxiety, headaches and heart problems. While you can't flush caffeine out of your body, you can take steps to eliminate your intake. Caffeine is considered a drug, and an addictive one, according to Villanova University. The ill effects of eliminating caffeine from your diet, including headaches and irritability, can last up to a week, so you may want to cut back slowly. For example, if you drink coffee, you can cut back by one cup or brew a pot of half regular and half decaf. If you're drinking energy drinks, drink only half the container.